It always starts in pandemonium. The elite plunge in, silent, gaunt legs loping down Riverside. The second-seeders and corporate runners surge together soon after. Everyone's scrambling for good placement as the colored tags flow in from behind. The streets turn into a giant Tetris puzzle. Every year, you see that one guy sprint ahead of you trying to win it, only to fizzle out and walk, huffing and puffing. You don't want to sprint, no matter how strong the urge. Pacing is the answer. Let's face it, not many of us trained properly for the upcoming 12k, so sprinting from the gun will deplete us. I talked with Gonzaga University cross-country coach Pat Tyson, who has turned the program around, previously led Mead High School to nine straight state cross-country titles and used to train and live with Steve Prefontaine, for some suggestions on how a novice should pace him or herself. First, you need to realize that winning isn't the goal. A solid finish is. Tyson explains that for anyone not hoping to win money, "the goal is to feel good about it." 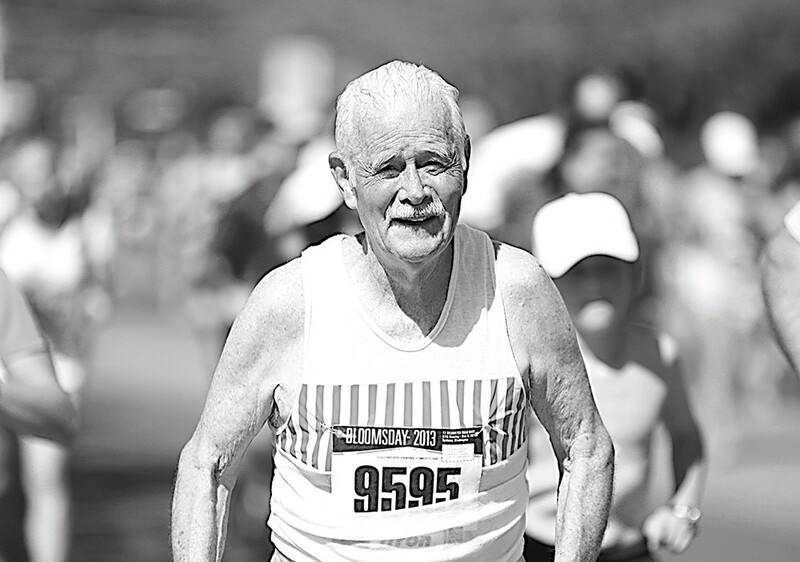 The type of pacing necessary to achieve this goal is what he calls "conversational pace." "You know you're going to be fast if you can't talk while you're moving," says Tyson. This may sound odd to someone hoping to set a personal best, but think about it like this — if you don't burn out early, you have more juice for later and can sprint at the end. Of course, a more experienced athlete knows their body better, has trained well, has a clear goal and may even use a watch for splits. Tyson tells his athletes to have a "conservative first half, then go out and let the games begin." This philosophy is based on the idea that it's more fun to pass as many people as you can after Doomsday Hill than to be passed by sneakers and heavy breathers over the last few miles. Tyson points out that once you top Doomsday there are only two miles left. That's 12 minutes at a six-minute pace or 16 minutes at an eight-minute pace. "So that's only half of a TV sitcom," he says. Tyson says you need to morph your perspective of time and your way of thinking. Throughout a race, the mind is always engaging, but the trick is to switch it into positive self-talk, he says. We've all been there. At some point we've been running and thought something negative about our sweaty disposition. This never helps. Tyson offers rhythm, arm carriage, relaxation, form, and finding your "zone" as things to think about instead of negativity. "You just have to find a way to hang on longer than you think you want to," he says.